The "Andean" by Diamondback: The Fastest Super Bike in the World? Diamondback’s newest, and oddest-looking bike to date, is being called the fastest Super Bike in the world. With its odd, wheel-hugging frame, the Diamondback Andean Aero-Core was actually built inside of a wind tunnel at the University of Toronto’s Institute of Aerospace Studies (UTIAS) with Diamondback’s engineering partner, Kevin Quan Studios. This incredible bike looks like a broad, 2 dimensional rider you would see in a Tron movie. But while the frame looks bulky from the side, it was built to streamline like no other bike has ever done before. The Aero Core design hugs around the wheels and fills in the gaps that define what a bike frame normally looks like. The wheels of this 2017 model are the most important part of the Andean Aero-Core’s unique system. 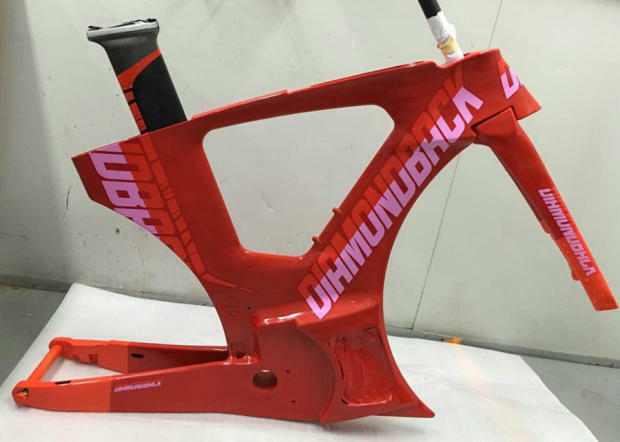 He explains it simply: “The best way to help a bicycle aerodynamically is to fill the space between the two wheels.” And the engineers at UTIAS and Diamondback have done exactly that. Even the wheel walls are uniquely aerodynamic and offer a complete change in riding than ever offered before. Compact, Aerodynamic frame huge the wheel and eliminates space between the wheels that create drag. Now, realize first, that it is not the bike itself that magically makes the rider faster — but it does something equally as important — it eliminates most everything around the rider that typically makes you slower when biking. At around 20 pounds, depending on the frame size and build, the Andean Aero-Core is not the lightest bike on the market, but its design is an incredible achievement in eliminating drag that riders experience on even the best bikes out there, that typically slows them down. 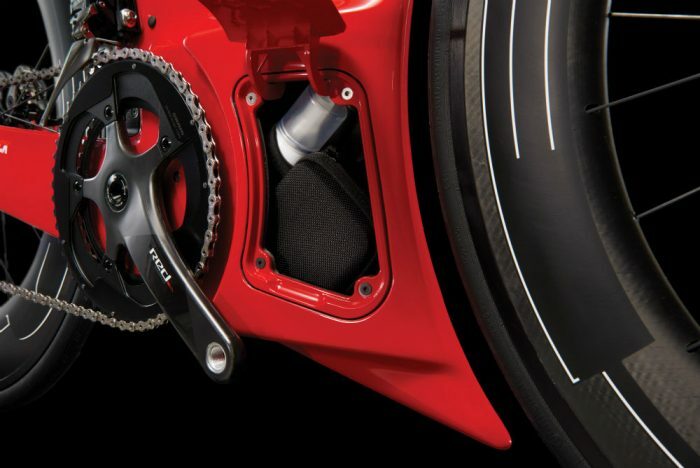 This allows the rider to bike at their best individual capabilities, which offers anyone the ability to go faster than ever before if they put the work in. 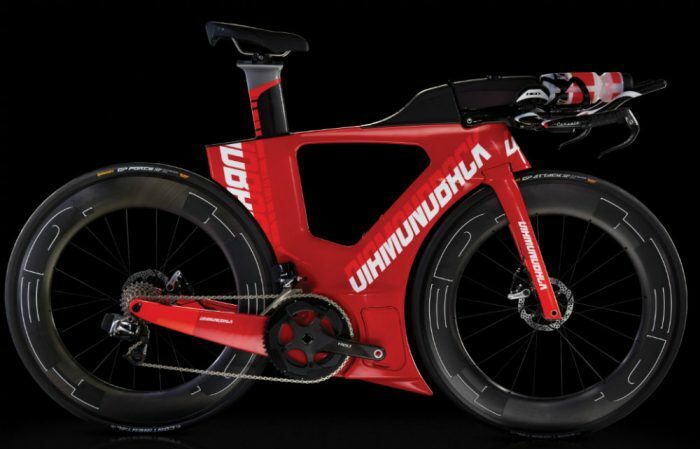 If you race, feel free to get plenty excited about this bike and put it on your purchase list — but do NOT expect to be able to ride it in most races. This is because the Andean Aero-Core is non-compliant with sanctioned, non-triathlon races. 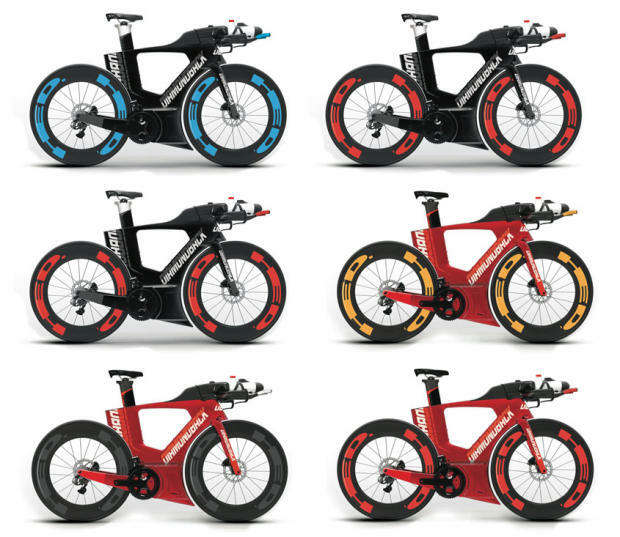 The 2014 Serio (The Andean’s predecessor), for example, was built in order to improve time trial and triathlon events by the UCI (Union Cycliste Internationale), which is cycling’s official governing body. Triathlons, however, lie outside of UCI’s jurisdiction because they include running and swimming as events, therefore, Diamondback could implement whatever speed-boosting tricks they wanted to. The Andean certainly eclipses the Serio and is Diamondback’s most efficient and fascinating design to date. Built-in compartments to maintain aerodynamics. The Andean Aero-Core was originally built as a prototype for Michael Weiss, the former Ironman champion for the Ironman World Championship. The building process inside of the custom-built wind tunnel at the UTIAS facility included half-scale testing that showed that 80 percent of drag on a bike was a result of the rider. Diamondback’s results from the wind tunnel showed that the Andean outperformed all previous tests in virtually every wind angle. At 20 degrees yaw, the Andean, due to the bike’s flat, blocky design and asymmetry, produced more drag. However, this streamline blew away all previous tests. Is the Andean Aero-Core the Fastest Triathlon Bike in the World Right Now? Quite simply, yes, it very likely is. 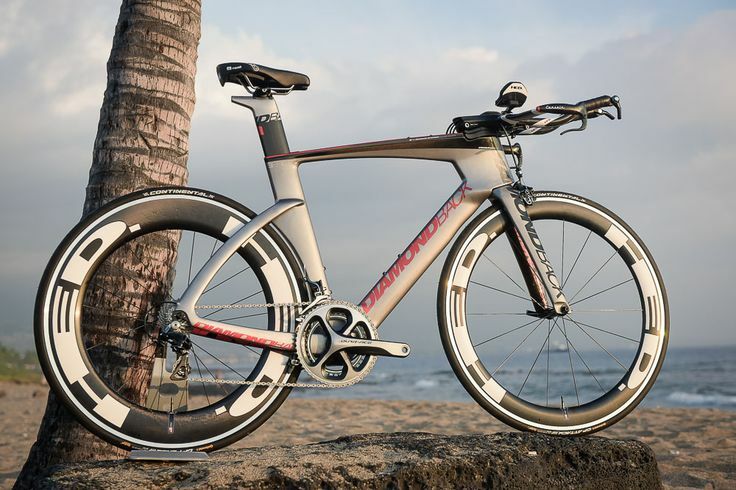 Diamondback’s engineer, noted that their numbers indicate it to be the fastest triathlon bike on the planet. That’s a bold claim, but under the right conditions and in most wind conditions, the Andean will indeed slice through the air with much greater ease than any other bike on the market. It looks like Diamondback is not all talk — they very well may have produced the most interesting, cleverly designed, and fastest bike you can buy. The Andean will be offered in a variety of color schemes, and buyers will be able to customize upon order. I know many of you are internally screaming, wanting to know when the Andean Aero-Core will become available and how much it will cost. For experienced bikers reading this, dropping a few thousand dollars on a great bike is expected. The Andean is not just a great bike, however, it is a fantastic innovation that will set you apart. You can reserve your Diamondback Andean at the link below. The wind piercing mechanics of the Andean will become available to you direct through Diamondback’s purchase page at: https://www.diamondback.com/shop/andean/reserve. You can reserve your Andean now at the link above (limit 2 per reservation) at a price of $500 preservation. The delivery date of the bike is expected to be in January, 2017. The cost? This rig starts at $4,800 and depending on the build, can run up to $8,069.99. By selling direct, Diamondback is able to sell the Andean at the lowest price, as well as create a link between you and the professional mechanic service team that will build your bike custom with personalized options. 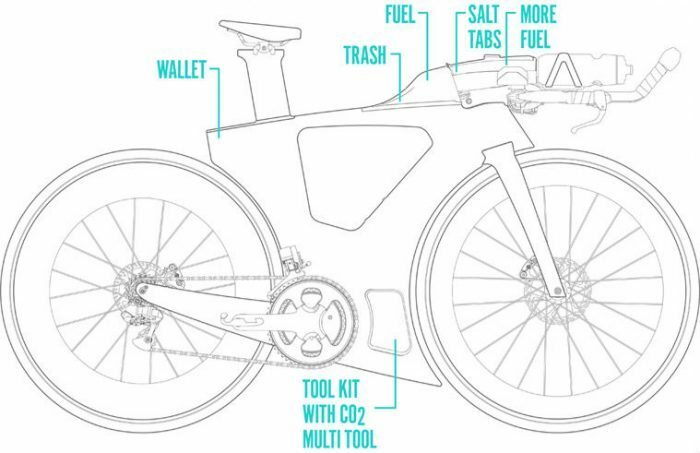 For many, this is well worth the price for the fastest tri bike on the planet. Take a look at our other informative articles and reviews!